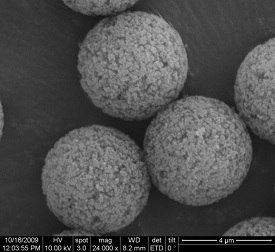 We can supply high quality monodisperse mesporous silica microspheres for labs, institutions, universities or related industry. 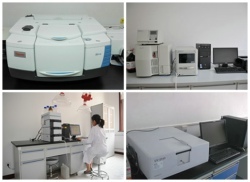 Porous silica microspheres are mainly used as normal and reverse phase chromatography packing media which can be used to purify and separate plant extracts(huperzine A, ginkgolide, panax notoginseng saponins), antibiotics(vancomycin, daptomycin, caspofungin, tiacumicin, Pneumocandin B0, cyclosprin, erythromycin), as well as polypeptides (tacrolimus, thymalfasin, bivalirudin)and others(cod liver oil, bortezomib, flurbiprofen axetil)etc. Customization is accepted for special particle sizes.